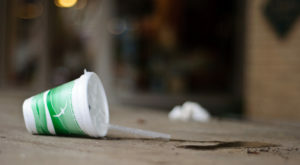 After much debate and consultation over the past two years, Vancouver City Council today voted to approve a ban on plastic straws and polystyrene foam cups and take-out containers. The ban on the distribution of these materials within city limits goes into effect on June 1, 2019, which is six months earlier than initially proposed. “Cities around the world recognize the detrimental impacts of plastic waste on our environment and are taking bold steps to cut down or eliminate waste through bans and innovative reusable programs,” said Mayor Gregor Robertson in a statement. By Kenneth Chan for Daily Hive.